Vitamin B-12, or cobamamin, is a B-complex vitamin that has been recommended for cancer patients undergoing chemotherapy treatment. Chemotherapy involves the use of heavy drugs in an effort to destroy cancer cells and prevent cancer from spreading. There are many side effects of chemotherapy, depending on the combination and types of drugs being used. Some common side effects are fatigue, nerve tissue damage and cognitive impairment, or "chemo fog." If you are undergoing chemotherapy, consult your physician or oncologist before using vitamin B-12. Chemotherapy destroys any cells that are growing or multiplying rapidly, even healthy cells. As a result, chemotherapy may reduce your overall red blood cell count, causing fatigue. Vitamin B-12 is required for the production of red blood cells, and a deficiency in B-12 can further increase fatigue. By supplementing with vitamin B-12, red blood cell production may be increased, helping improve symptoms associated with fatigue, according to the University of Maryland Medical Center. Chemotherapy can cause nerve tissue damage which may result in peripheral neuropathy, causing pain, tingling and numbness in your hands and feet. Peripheral neuropathy resulting from chemotherapy treatment can last for months, years or for the rest of your life. According to the American Society of Clinical Oncology, vitamin B-12 supplementation, as well as vitamin B-6, can have a beneficial effect on reducing symptoms associated with chemotherapy-induced peripheral neuropathy. Chemotherapy can cause cognitive abnormalities that include brain fog, or chemo brain. Chemo brain refers to a decline in your ability to think, concentrate and retrieve memories, both during and after receiving chemotherapy treatments. 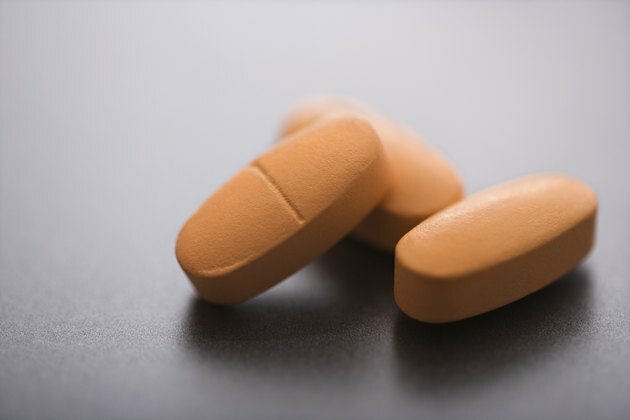 According to the book "Encyclopedia of Nutritional Supplements," vitamin B-12 supplementation may be able to restore some cognitive function in people undergoing chemotherapy treatment who have suffered a loss of mental capabilities resulting from treatment, although more research needs to be done to assess the overall impact B-12 has on chemo brain. According to the University of Maryland Medical Center, vitamin B-12 is considered safe and non-toxic, even in high doses. This is because vitamin B-12 is water-soluble, which means that any excess B-12 that you ingest will not be stored in your body but will be excreted in your urine. The recommended dietary allowance for vitamin B-12 for most adults is 2.4 mcg per day. However, if you are undergoing chemotherapy treatment, more B-12 may be necessary to prevent a deficiency and to help improve minimize the side effects of treatment. ChemoCare; What is Peripheral Neuropathy and How is it Related to Chemotherapy? Which Is Better Vitamin B6 or B12?